Be touched by an angel and decorate your event tables with a glorious center-piece that will add sparkling blessings to your special day! 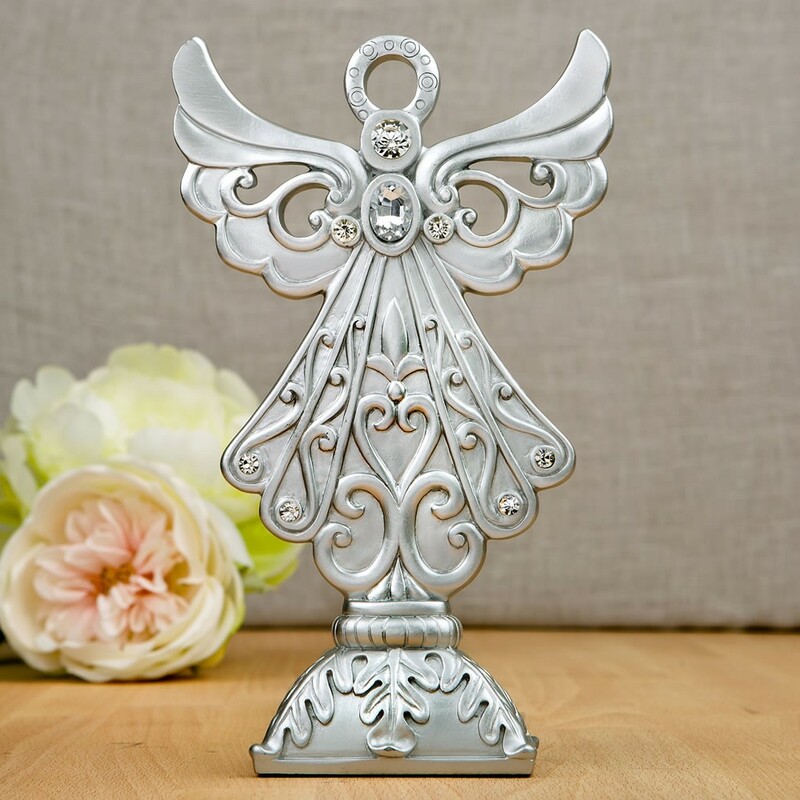 This stunning tall angel is crafted from poly resin and stands on a weighty poly resin base ensuring that she is very stable. 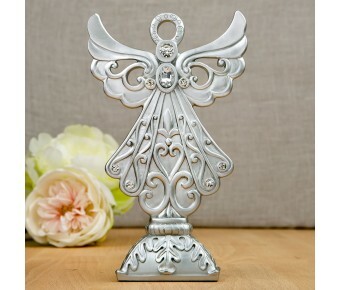 The angel has a beautiful carved out design with delicate filigree lines on the wings and body. She is hand painted in a brushed silver finish and is decorated with sparkling clear rhinestones accents. The top of the angel features a clear circular halo. Choose the perfect table center-piece for religious themed events like communions, baptisms and christenings! Size is 8 3/4" x 5 1/4" x 2"
A great table center-piece for religious occasions like communions, baptisms and christenings!